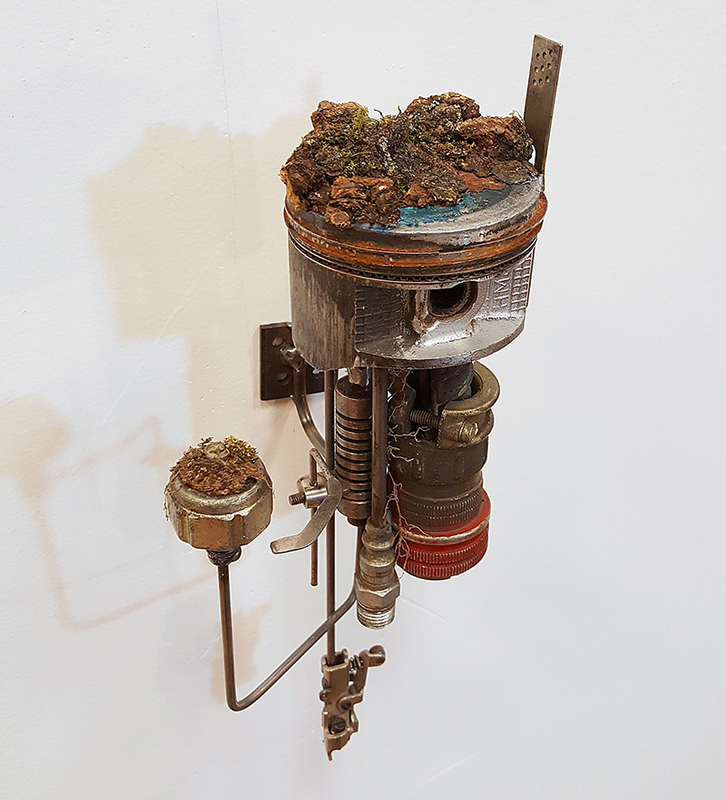 This will be a collaboration of works between Brandon and Angela Minga. 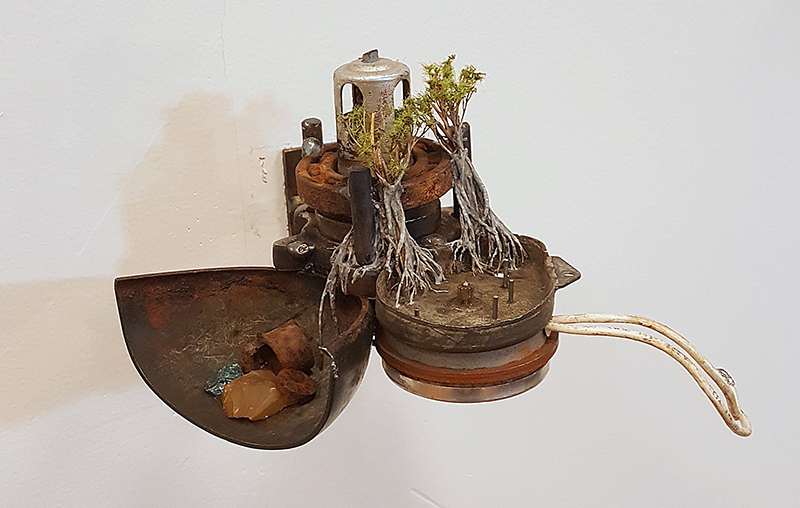 In this series, we bring our differing styles together to imagine floating machines that are falling into disrepair, and nature is overtaking them. 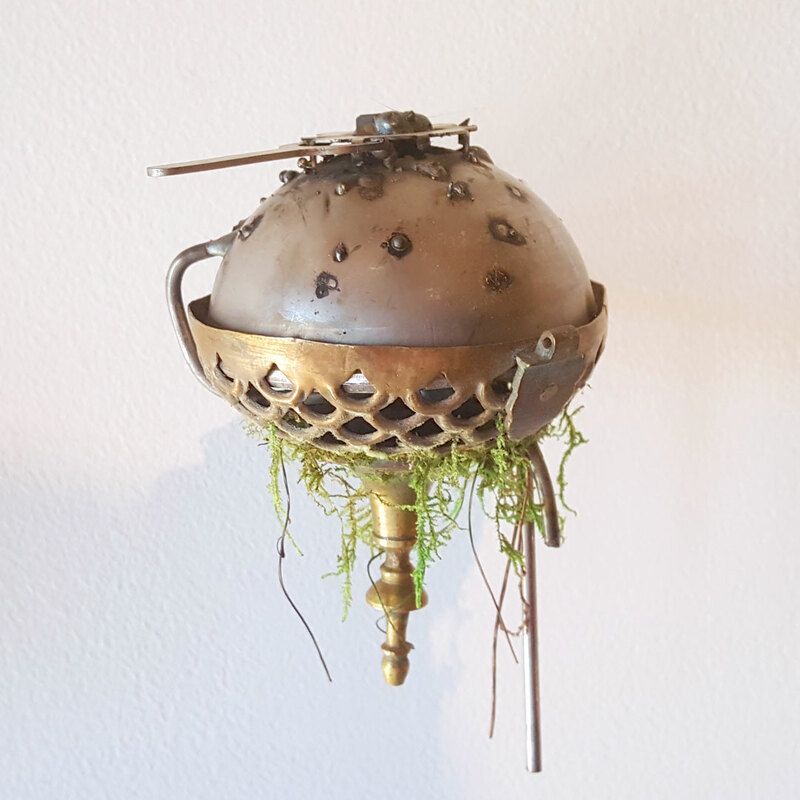 Brandon’s artwork is inspired by industry and kinesis, and Angela’s is by flora and fauna. 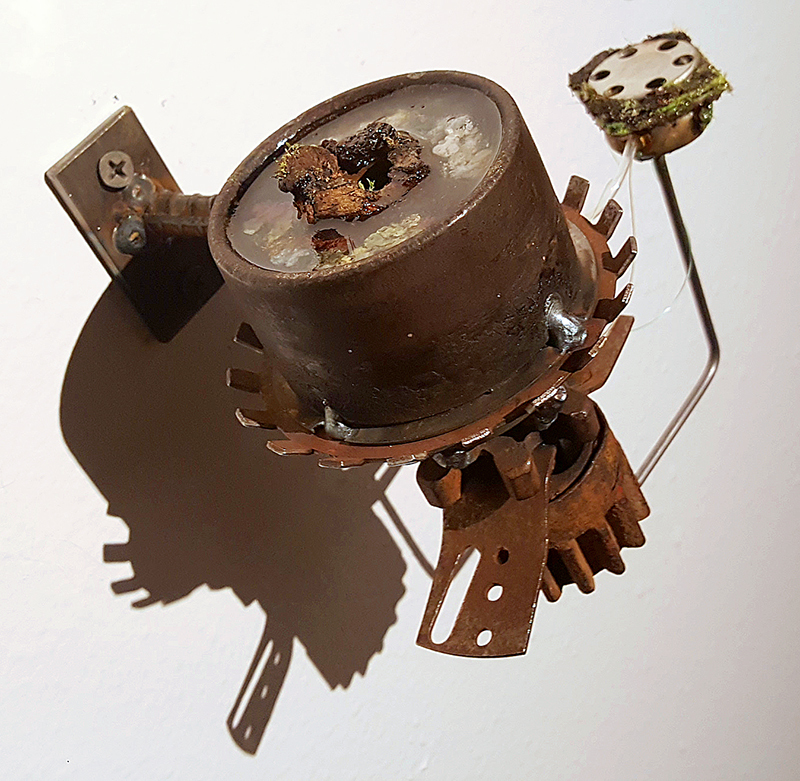 What our work has in common is reclamation, regeneration, and a post-apocalyptic undertone. 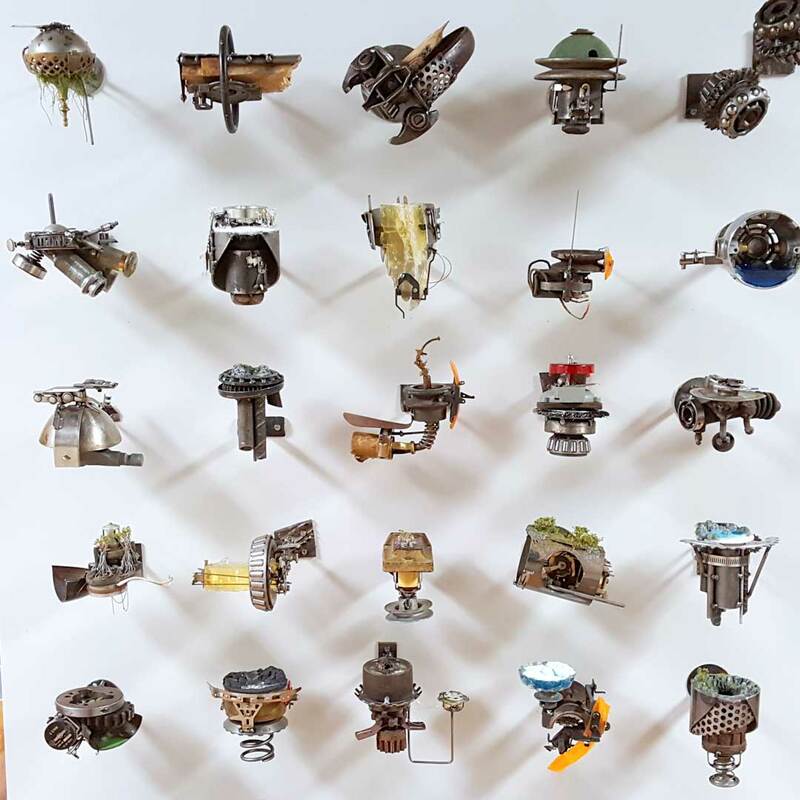 Brandon will be creating the machines with found objects screwed, glued, and welded together. 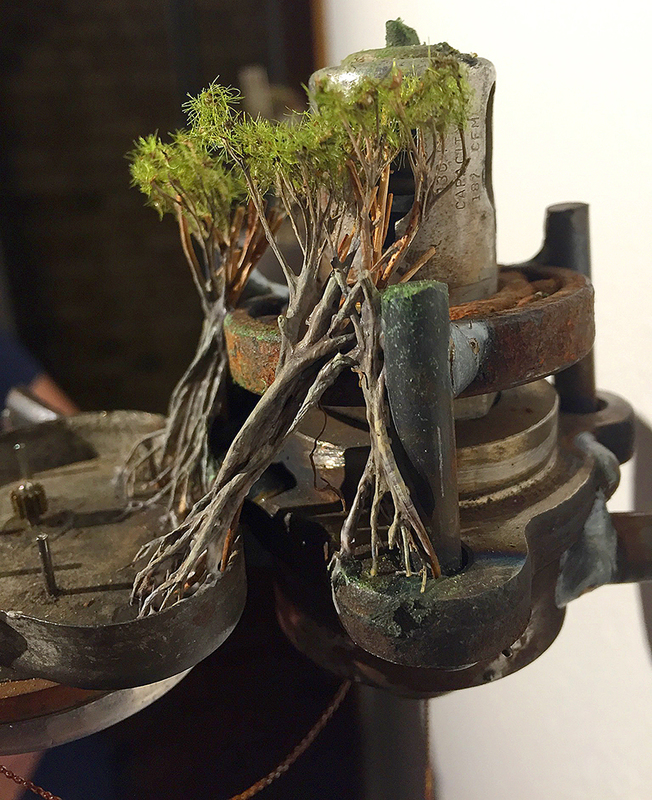 While Angela will repopulate the machines with plant life made from moss, wood, foam, and paper.